Zimmer and Peacock won't develop technologies or capability unless we think they are scalable into low cost biosensors and medical diagnostics, in the video we show some pieces we are making where we have a hybrid betwen our sensors and a credit card. which utilises the advantages of both materials. AEM Biotech have highlighted Zimmer and Peacock on their website as a leading company. Please visit the AEM Biotech 2018 website here. Zimmer and Peacock are delighted to be part of the advisory panel for HSN's Master in Micro and Nano Systems Technology. ZP has been one of the biggest employers of graduates from HSN in recent years, and so we are delighted to contribute to the education of the next generation of scientists and engineers. 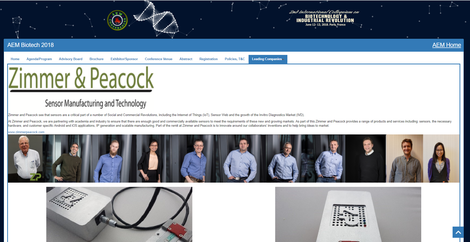 Zimmer and Peacock is passionate about fundamental research becoming products so we are delighted to be invited to give a talk on Biology to Applications at the AIM Lisboa on 28-29 June 2018.
Zimmer and Peacock are contract developers, suppliers and manufacturers of nanopore technologies. 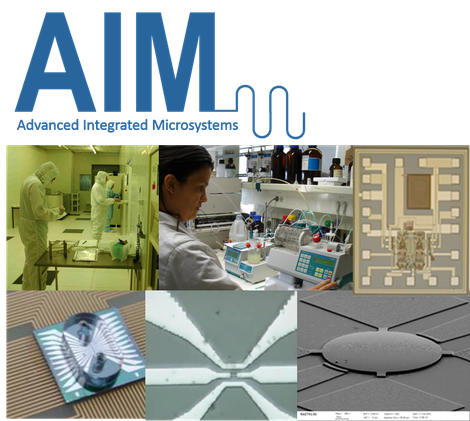 We are delighted to be attending the Electrochemistry at Nano-Interfaces: Faraday Discussion - Bath United Kingdom on 26-28 June. Please feel free to meet us there or to contact us to discuss your Nanopore requirements. Zimmer and Peacock are contract developers and manufacturers of wearable sensors and biosensors. 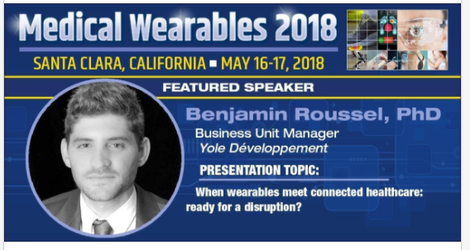 We are exhibiting at Medical Wearables 2018 in Santa Clara, please feel free to meet us there.